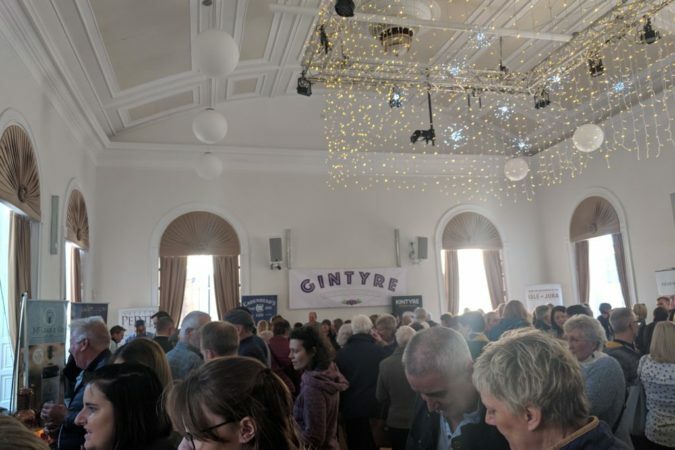 When Su, our head (only) distiller, offered me a ticket to an opera performance at Glen Scotia distillery in Campbeltown I looked at her as if she was mad and was relieved to see it clashed with Carradale Bonfire night at which I was already committed to flipping burgers. Fortunately bad weather intervened and, with burger flipping postponed for a night, I had no other excuses up my sleeve. 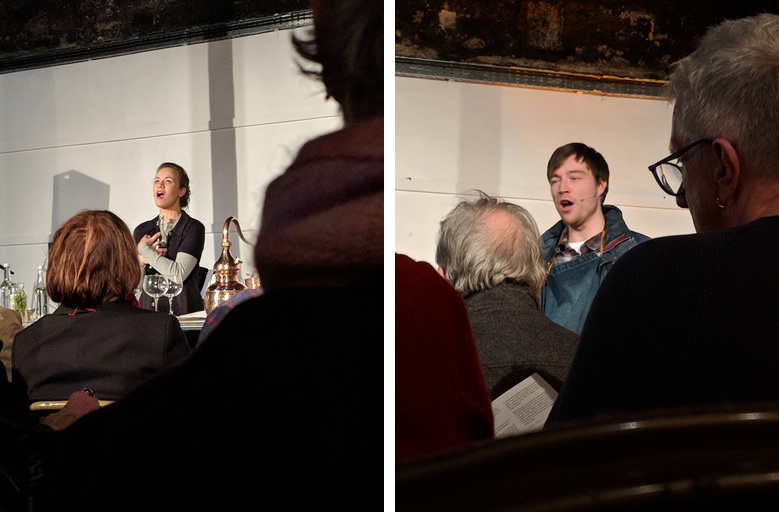 It wasn’t my first opera but it was my first opera at a whisky distillery, sung in English (with Scottish and Polish accents) accompanied by mutton pies and nips of single malt. To be honest, they had me at mutton pies. It was an incredible experience from start to finish, fine food and drink aside, the opera itself was astonishing. 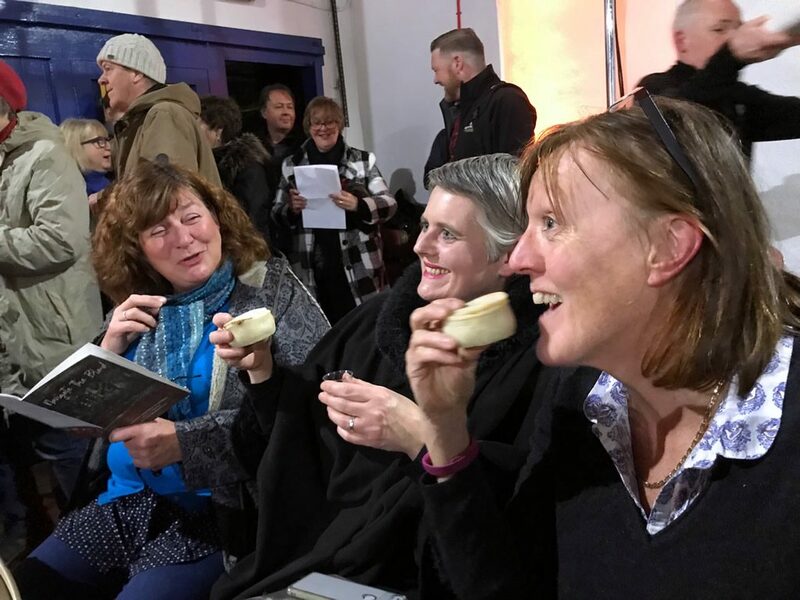 Raw and intimate with just 4 cast members and a sparse set, the story, entitled Navigate the Blood, takes place in a family-run, award winning whisky distillery. We quickly learn that the husband and wife owners, Lena and Bob, have recently suffered the agonising experience of their only son going missing. They are clinging on to the hope that there will be good news one day, especially Bob who seizes upon the most tenuous sightings of his son, only to be continuously disappointed. 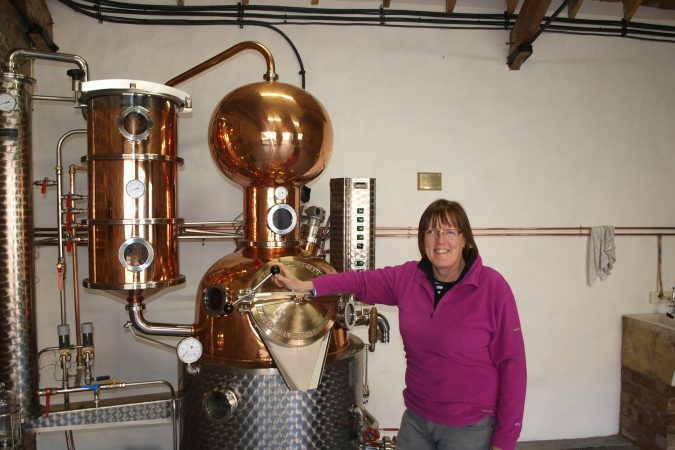 Meanwhile, their assistant, Agata, is keen to modernise the business by producing gin but is discouraged by her bosses. A stranger, Elijah, who bears an eerie resemblance to the missing son, shows up and becomes an unlikely conduit for change, forgiveness, compassion and ultimately closure. The music is a collaboration between opera writer, Gareth Williams and indie folk rock band Admiral Fallow who perform the score. It is powerful and moving and was only enhanced by the intimate setting inside one of Glen Scotia’s smaller malt barns. The cathedral ceiling augmented the acoustics which meant you could physically feel the music as well as hear it. The subject matter was deeply moving – as well as loss and grief the story touches on modern slavery, that hideous practice that is sadly occurring still. At it’s heart though was the craft of distilling and it was a highlight for Su and I when Lena sings a poem about the history of gin, including the many nefarious side effects that were so prevalent in the early days of production. Thankfully we have come a long, long way since then! 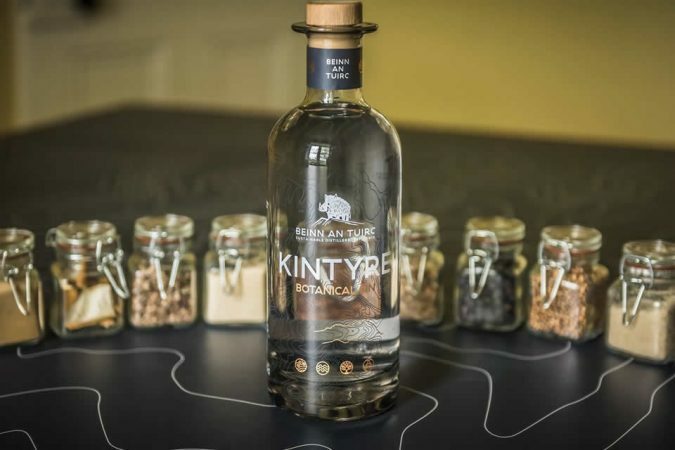 The production is touring Scotland throughout November – they are taking the opera to distilleries in Islay, Pitlochry, Aboyne, Edinburgh, and Avimore – do try and go – it is a unique and brilliant experience for whisky lovers, gin lovers, opera enthusiasts and anyone who loves being moved to tears by a beautiful story. Tagged with: Admiral Fallow, Gareth Williams, Glen Scotia, Navigate the Blood, Noise Opera.